Our clan ENAW urgently needs your help! the entire clan of ENAW needs as many of you as possible, help with playing our Battlefield 1 server! In the meantime we spend a considerable amount of our time each day to fill our servers. As you know, you need at least 20 players to play a 64 slot server at BF1, with a 24 slot server still 10 players! We are very annoyed that Dice has no insight with the server and has reduced the number of players needed to start a BF1 server! With BF3 / BF4 only 4 players are needed and all our servers are running alone. Players get together and start the servers. Look where the required number of players has not yet been reached and jointly on our ENAW server. An overview with already existing number of players of all ENAW servers can be found at www.enaw.eu on the right side of our homepage. We would like to thank you for your support and wish you a lot of fun at ENAW! One of your staff members were rather hypocritical the other day. I complained about snipers in the chat, which sparked a debate- without saying a single slur or severe insults, and yet I got banned for offensive behaviour, while other people were going crazy in the chat swearing and being a**holes to other players. They were not banned or kicked within the 15 minutes of which I played on your server, but I was. I don't see how my behaviour would be considered so bad that I should have been permanently banned. Your staff should treat all players the same way. 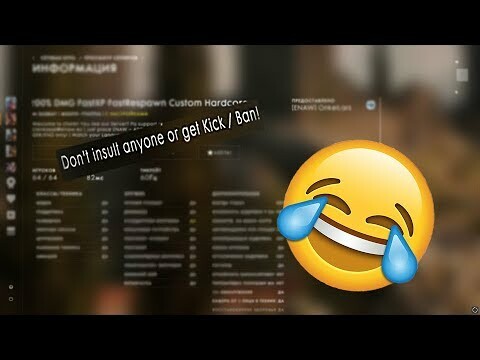 We are also only people and also make mistakes, however, nobody has to be offended by our clan especially as we pay this server. It should be clear to every guest that we pay the server I pay and also how to adjust it accordingly. Our attitude speaks for itself that our servers are filling themselves by themselves. We can not make it all guests right so we do not need discussions in the chat whether this or that setting is meaningful or not. Who does not like our attitude, we like to play somewhere else but most of our guests appreciate our attitude. I have spoken to our admins and we will give you another chance and release you. You should repeatedly spread negative sentiment remains the spell forever. Well then have fun on the servers of ENAW! I hope this is not a suprise to you. You're still making mistakes in 2k18, ban people for a good game? How much do you have to be pathetic? You and your friends are disgusting. I shot a small movie using shadowplay. I don't want to be unbanned on this server, I'm disgusted with you. You are running a custom server ??? 200% damage ?? just turn the pregame tab off in the options and the server will start with just one player. This will have no impact on your server appearing in the browser because it is already custom therefore hidden from the default search. But you seem to be able to fill the servers fine so how long have you been trying to start the server with 20 ?? this feature was brought in months ago..
LES ENAWS, je suis scandalisé, nous la team UBf nous jouons sur la plupart de vos servveurs ou celui des LEB, il est très sympathique de votre part de nous virer alors que nous jouons ensemble quasi chaque soir, avant de kicker regarder vos joueurs fidèles. Encore aujourd'hui je me fais éjecter par un administrateurs de votre team, je suis outré par votre gestion. Merci du kick alors que j'étais pas le dernier entrée. Today's lesson: don't play on the server when [removed due to name and shame] is on.